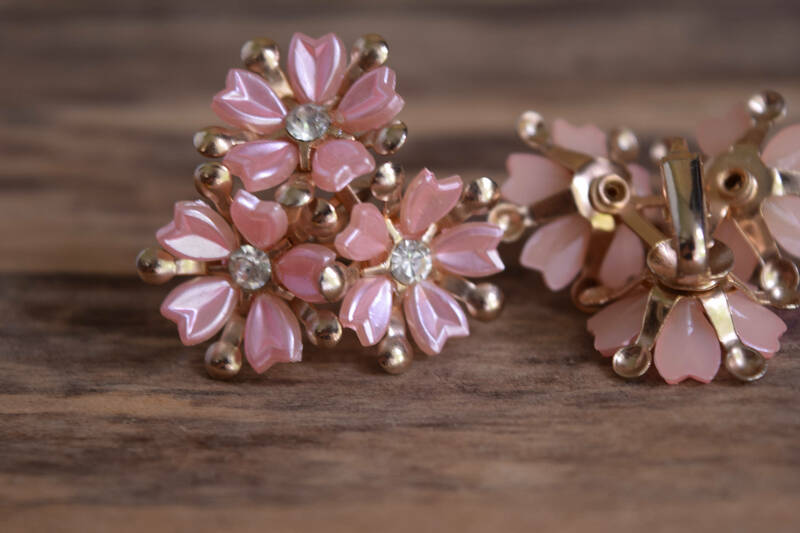 Lightweight and adorable, these pink flower earrings are just what your favorite floral print skirt needs! 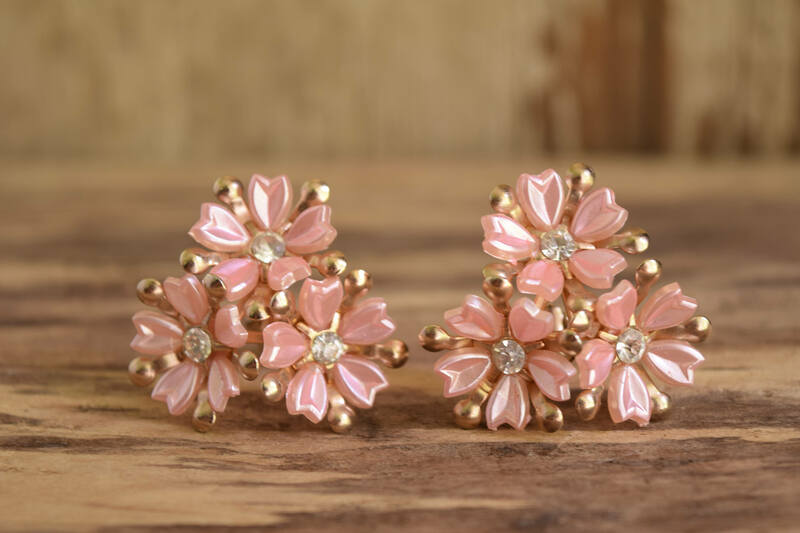 These Clip-on earrings will give your pinup or retro style a sweet finish. 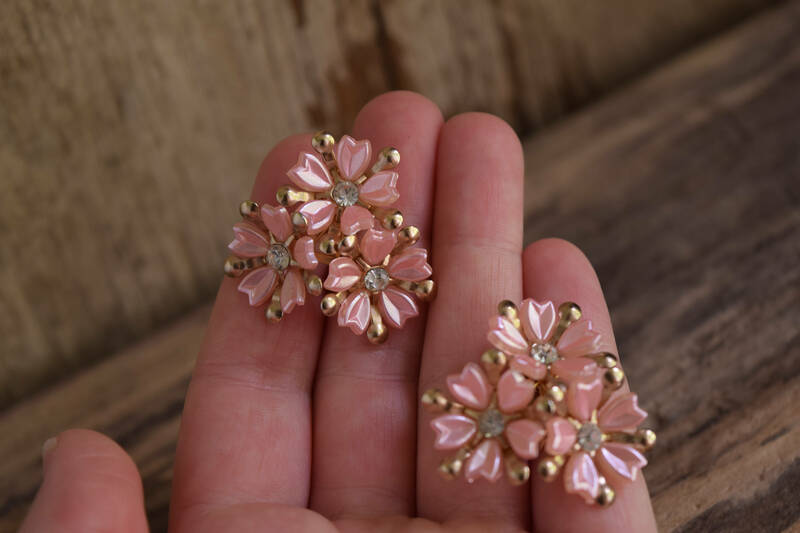 They're perfect for casual or dressy wear, be it trousers or gown. 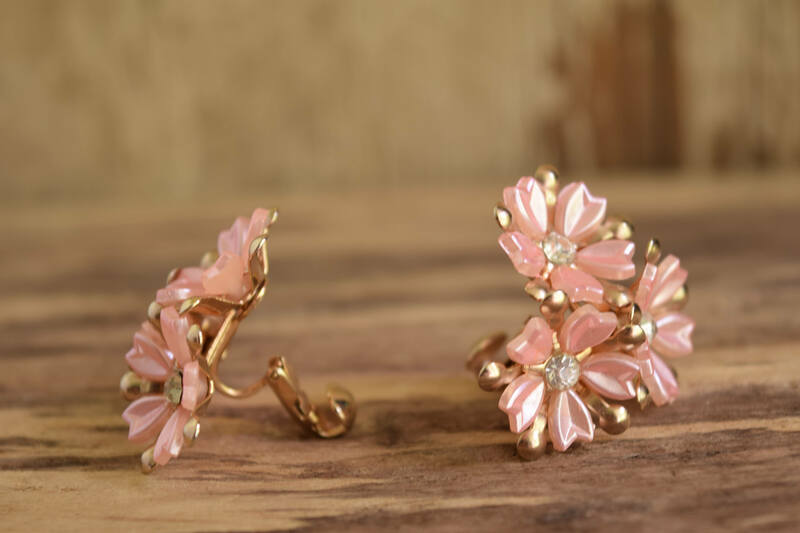 When worn, there is one flower on top, two on the bottom of the earring, for an elegantly sweet look. Condition: Great previously owned vintage condition. 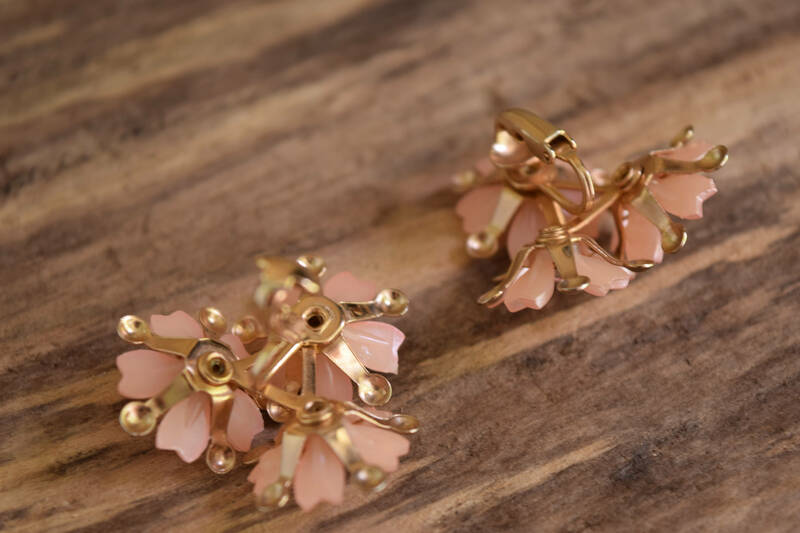 From our family collection, these earrings were well cared for and only worn on occasion by Cole's Great Grandmother. They have very very light surface wear, and the clips have excellent tension. Note: color can vary with screens and devices.